With their disruptive essence and resilient drive, startups have become a definitive feature of our age. Yet even the Thomas Edison's of today need networks, holistic business knowledge, and investors to bring their ideas to the market. Startup incubators and accelerators can play a significant role in catalyzing the growth of young businesses. At Italy’s MIP Politecnico di Milano, startup incubator PoliHub is a platform that nurtures entrepreneurship at the interface of academia and business practice. PoliHub leverages MIP's extensive network of industry connections—Deloitte, Microsoft, and IBM included—to offer mentorship opportunities and access to funding for budding MBA entrepreneurs. 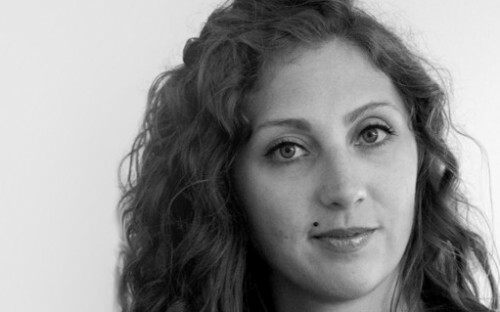 BusinessBecause caught up with Federica Biancon—startup selection and investor relations leader at PoliHub, and a former MIP MBA student—to find out more. PoliHub has evolved a lot since I joined two years ago. We were a group of five or six people, and now we're almost twenty. The vision never changed. PoliHub was born to support highly innovative startups with scalable business models, fostering cross-fertilization processes between the university and companies. The support we provide to startups ranges from mentorship programs to specific consultancies in topics such as intellectual property protection, pitch presentation, and legal advisory. We also provide customized services for international exposure and business development, as well as support for fundraising activities. All of this is possible due to our collaboration with corporations that work with us to implement innovative projects. This guarantees our sustainability, as we are independent of government funds. It also creates a fertile ground for innovation to flourish through the interaction of talent, technology and industry at PoliHub. What does PoliHub offer to MBA entrepreneurs at MIP? PoliHub and MIP Politecnico di Milano are partners since the incubator's inception. We constantly collaborate to design courses that blend business education with on field training in startup methodologies. MBA entrepreneurs at MIP can receive support from PoliHub staff to test and validate their ideas, as well as having access to incubation services during their project work if they decide to develop a new business as the object of their thesis. PoliHub is growing fast, so every year at least one student of the International MBA becomes part of the team, as I did. We've also just launched a new course on Entrepreneurship, Innovation, and Startups with MIP. Executives and professionals can attend this short course on the tools everybody needs to understand when working with startups. Then, they can test their knowledge on the battlefield while working as mentors for real startups, monitored and supported by PoliHub staff. The successful completion of this training gives professionals the opportunity to become a mentor at PoliHub. This is a very precious resource for the incubator, as it would be impossible to support more than 150 companies every year without our mentor expertise and dedication. How did your role at PoliHub come about? When I was in California during spring break, I received an email from MIP's career service notifying us that a project work position had opened up at PoliHub. It took me only a few seconds to realize that this was my hook for jumping into the startup world that was finally growing in Italy. I completed my project work, writing a thesis about PoliHub's value proposition, and sustainability models for the incubator. The culture was a perfect fit, and before my graduation it was confirmed that I'd continue working there. Now, I manage the startup selection process, incubation services, and the organization of seminars to build knowledge on entrepreneurship. I'm also responsible for engaging investors in PoliHub's network, promoting startups for fundraising, and supporting them in attracting investment. Why did you decide to pursue an MBA at MIP? I worked as a retail fashion buyer for a luxury multinational company and I was not very satisfied with my career at that time. I had trained as a management engineer, and I basically felt 'underemployed'. I wanted to approach a new and innovative industry in a more strategic and impactful role. MIP Politecnico di Milano is the business school of a polytechnic university with a very strong focus on innovation and technology permeating every course. Through my MBA at MIP, I had the opportunity to do my last semester in California, where I gained international exposure while living in the heart of the tech revolution, the Eldorado for startups, and where I fell in love with the world of high-tech entrepreneurship.